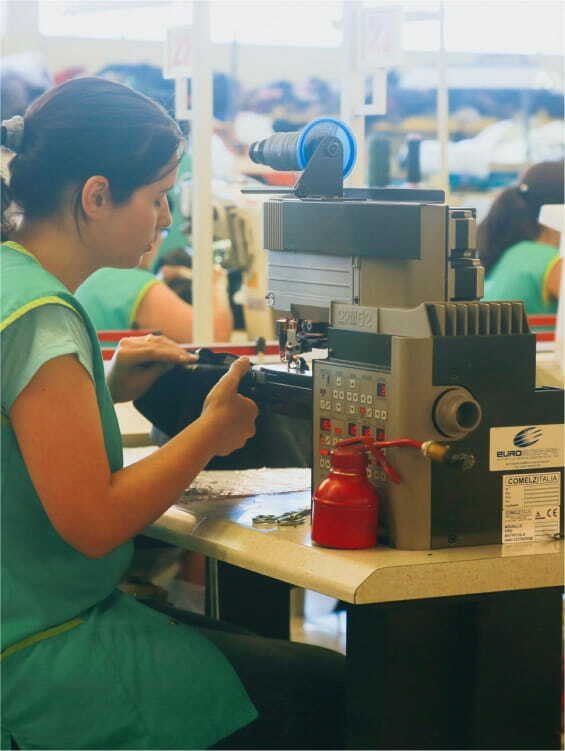 The workshops where our each one of our Pied de Biche shoes are carefully made are situated near Porto, Portugal. Porto is the European shoe capital. Its region is recognized worldwide for its know-how and expertise. Our workshops work closely with well-known, luxury good providers. We specifically select them for the special care that our craftsmen give to the manufacture of each article we entrust them to make. 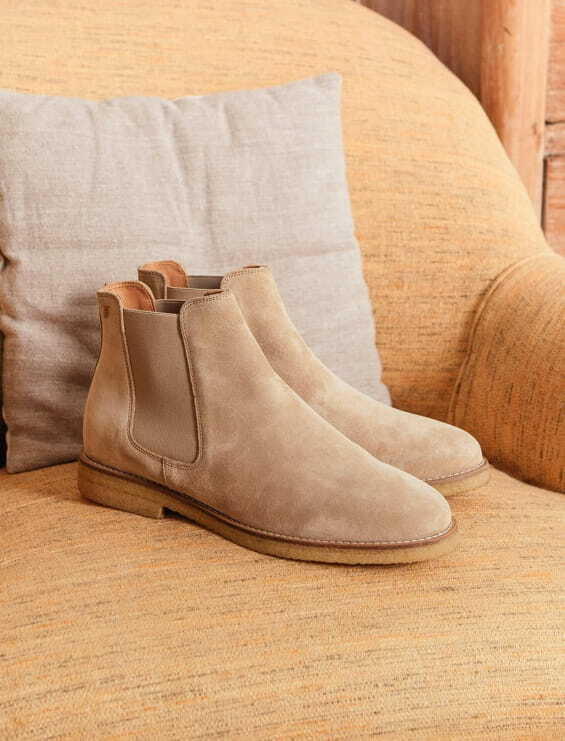 Pied de Biche mainly selects calf leathers as these leathers have the advantage of being both supple and long lasting. Furthermore, our shoes are also entirely lined with calf leather. 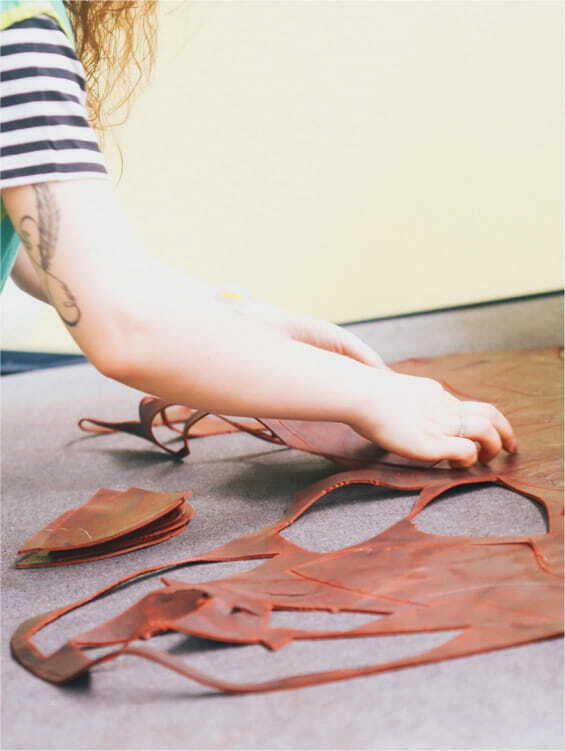 Most or our leathers have been tanned using a semi-vegetal dye, much more respectful of the environment and leather. From cutting to stitching, your shoes are handcrafted following traditional shoemaker standards. Our artisans are involved in every step in the making of your Pied de Biche shoes. All our models have followed a thorough development process including prototyping, testing, adjusting and more testing. We have also engaged with our customers to get their valuable feedback. In our quest to continuously improve and embrace new technical innovations, each new collection gets perfected. All our shoes have genuine leather soles, mounted in Blake for men and hot-welded for women. Some soles have a gum insert, others not, depending on the models. When our artisans have completed a model production cycle, all the Pied de Biche shoes are sent to our logistics centre, situated in the suburbs of Paris. Once there, your online orders are carefully packed and sent straight on to you. A part of the collection is delivered to our Parisian boutique situated 5 rue Commines, where the enitre Pied de Biche team is happy to welcome you every day of the week. It is in our Parisian workshops that our itchy hands are actively working, looking for new inspirations. Our inspiration can be triggered by a shape, a colour hue, a detail, pattern or even a personality but always in a modern context, with blue skies thinking. We are constantly imagining new designs, innovative new takes on classical, timeless, casual and elegant models. From there, we sketch out the first draft of our creations. These drawings are then passed onto our technical desk, who in turn must transform these drawings as faithfully as possible into shoes. Pattern making is a crucial step. It will guarantee the perfect look and comfort of the shoe. The first step is to create the shape (the "shoe last" as they say in our jargon). 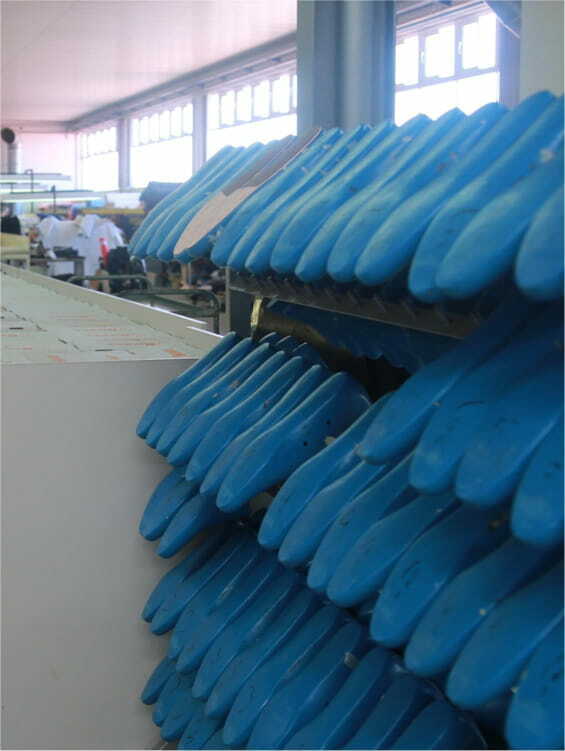 The last is a kind of foot shaped block around which the shoe is molded. This work is essential because it determines both the "fit", the comfort, structure and the finished shoe’s appearance. This is a particularly critical step to ensure the success and determines the final look of the model. Every detail counts. Our shapes are designed to give an elegant look, whilst also ensuring great comfort and proper fit. The next step is to work on the pattern with the cuts and pieces. This step is decisive for determining the elegance and overall appearance of the shoe. Our cuts have been carefully selected and many drawings have been made so the pattern is both unique and convincing, whilst remaining as simple and as elegant as possible. At this stage, all the small details are added that will make the shoe stand out not only aesthetically but also comfort and durability wise (eyelets, types of stitching, comfort sole, buttresses or even strengthening stitches...). Now this is one of the most crucial stages as the better the leather, the better the shoe. It is directly to Italy that we go to carefully select the best calf leathers for a smooth finish and the softest suedes. 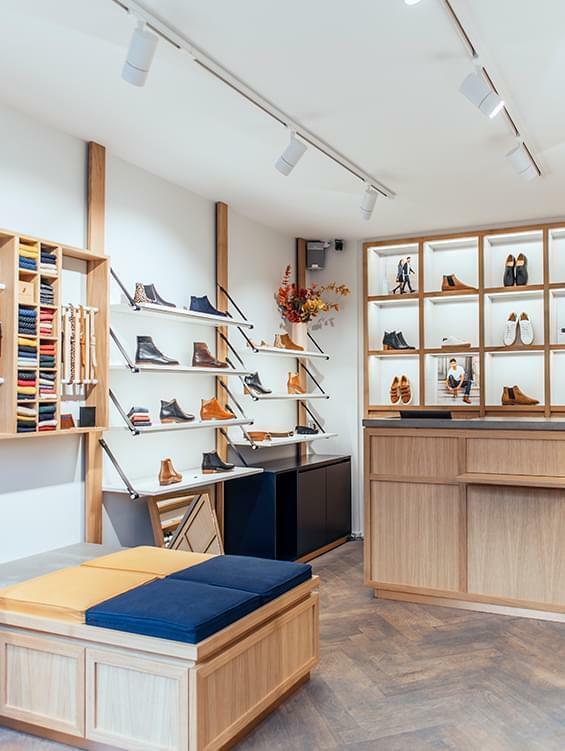 We have chosen all our leathers for their flexibility and durability in order to guarantee that all our shoes are well made, comfortable and longlasting. 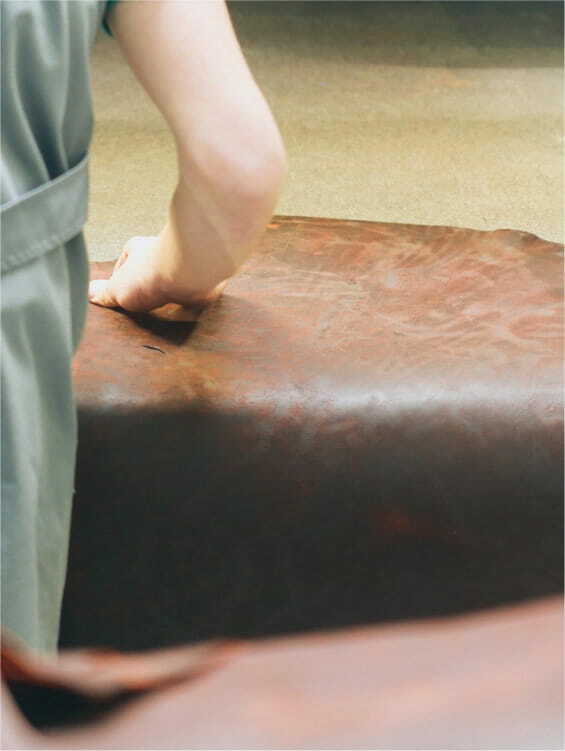 For standard skins, we work exclusively with full grain very natural calf leathers. These high grade natural skins have been tanned using environment friendly dyes that respect the grain of the leather. For our more unusual leather varieties, we try to choose a skin with some character as we like to be surprised and nature provides plenty of opportunities. Our mahogany pull-up leather is a perfect example of this. 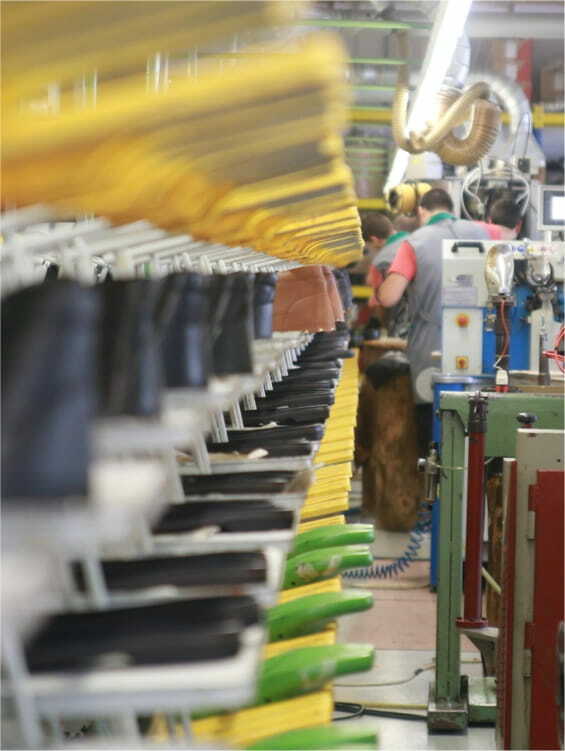 The full handmade assembly of our shoes takes place in the region of Porto, the European capital for footwear. 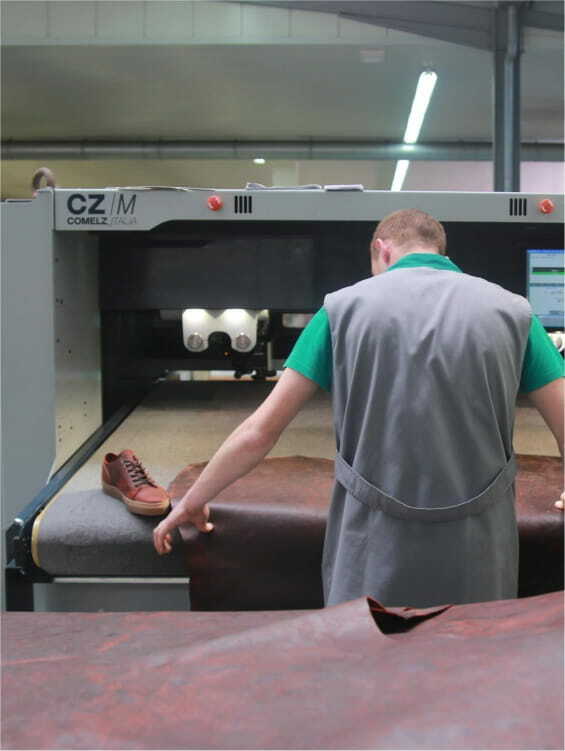 Our cutting manager carves out the most perfect parts of the leather to create the shoe. They are then carefully stitched together. After, the linings, eyelets, elastics are added… Finally, once the uppers are ready, they are ready to be assembled. Mounted, they pass through a series of ovens of different temperatures to make the leather successively relax and then firm up to achieve the perfect shape. Finally, the sole will be glued, hot welded, then stitched to the shoe and finally delicately placed in one of our beautiful Pied de Biche boxes! Our quality standards are very high, and each pair of shoes, made by our artisan craftsmen are subjected to very rigorous quality control process.